Jeff’s Place Children’s Bereavement Center, Inc.
Jeff’s Place Children’s Bereavement Center provides free support groups for bereaved children, ages 3-19, and their families… No bereaved child or teen should grieve alone. 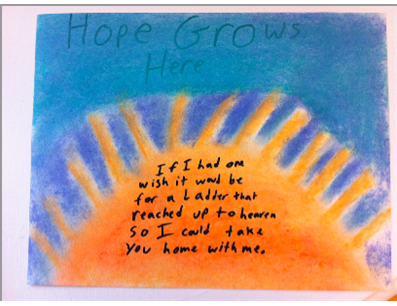 Jeff’s Place facilitates healthy integration of loss for children, teens, and their families by helping them feel connected with each other and less alone in their grief journey. Normalize the grieving process for children and teens. Promote peer-to-peer connections to lessen feeling alone. Empower children and teens to recognize and cope with their varied feelings. Build confidence and self-esteem through the development of trusting and empathic bonds. Encourage laughter, play and fun. Provide hope, healing, and meaningful growth for all whose lives we touch. Jeff’s Place provides open-ended peer bereavement support groups, family consultations, educational trainings, crisis intervention following a death, and is committed to being a national leader in research on program effectiveness. Jenny Kaplan Schreiber, the Founder, grew up outside of Boston with her parents and two brothers. The eldest, Jeff, drowned just shy of his 18th birthday. Her family’s story of loss, healing, integration and growth propelled Jenny into the field of Social Work and Bereavement Services. After many years at FRIENDS WAY, a respected, comprehensive children’s bereavement center in Rhode Island she founded, Jenny was thrilled for the opportunity to offer similar support for the grieving children, teens and families in the MetroWest community. Her work started with a satellite support group run by The Children’s Room, which was eventually adopted by Manitou Experience, a weeklong overnight camp for grieving boys, as a year-round extension of the program. 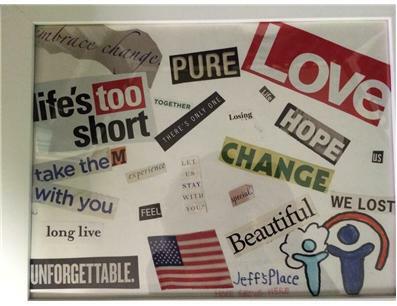 Jeff’s Place is the only independent nonprofit organization in the MetroWest that provides free support groups, education, and crisis intervention to bereaved children, teens and their families. No bereaved child or teen should grieve alone. To make a difference “that matters” in the lives of grieving children, teens, and their families. Be a full service grief center for children, teens, and their families. Measure effectiveness of Jeff’s Place groups, and be an innovator and leader in evidence based practice for children’s bereavement programs. Build an infrastructure and funding model that is sustainable and not fully dependent on its Founder. 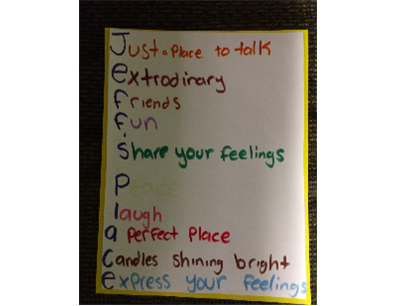 Jeff’s Place is the only independent nonprofit organization in the MetroWest that provides free support groups, education, and crisis intervention to bereaved children, adolescents and their families. Jeff’s Place has grown through the vision, personal and professional experience of its Founder, who is a bereaved sibling, licensed independent clinical social worker, and has worked with grieving children and their families for 20 years. She founded a similar program in Rhode Island, FRIENDS WAY, which currently serves more than 100 families per year. She is a pioneer of evidence-based practice in peer-based support models for bereaved children. Jeff’s Place program is unique as an organization in that it is comprehensive and provides support and services to the whole family system. We are a prevention program that normalizes the grief process and firmly believe that the expert of grief is the one who is grieving. All of our services are FREE and we rely 100% on the generosity of individuals, foundations and corporations to operate our programs. We have the equivalent of 1 Full-time paid staff member and more than 50 volunteers who are the heart and soul of our organization! *National Children’s Grief Awareness Day is November 21st, so it would be really cool to have an event on that day if the timing worked well for a B’nai mitzvah. Host a collection drive for art and craft supplies for our support groups. Our teens have created a video about what it’s like to be a grieving teen and how their friends and teachers can help them. See if you can coordinate a viewing of the video and we can hold a panel discussion Q & A session, either in person or via Skype. Approximately 90 current participants in support groups and 100 more indirectly through educational workshops and crisis intervention on issues related to childhood bereavement. 73% of grieving teens said that they think about their loved one every day. At Jeff’s Place, kids understand they are not alone! To add this cause to your favorites, you need to be signed in. Check out our Amazon Wishlist https://t.co/9LQRLCZkM5 We need office/program items to make our house a home! https://t.co/OKCoiBKg1E Consider making a donation today so we can ensure "no child grieves alone." Check out our newly updated Spotlight page! https://t.co/X6cLjb2N2s And while you're there, consider making a donation! Ben and Skyler share what it's like losing wife and mother https://t.co/bhVZmcI9rR Help parents and children like them! Your JChoice account has been deactivated because you have exceeded our reporting limit. 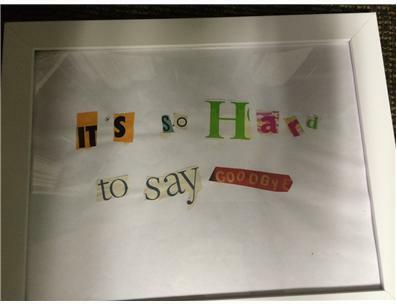 If you feel that this has been done in error, contact our customer service department.